It is really nice to be able to get out a bit and away from the farm. 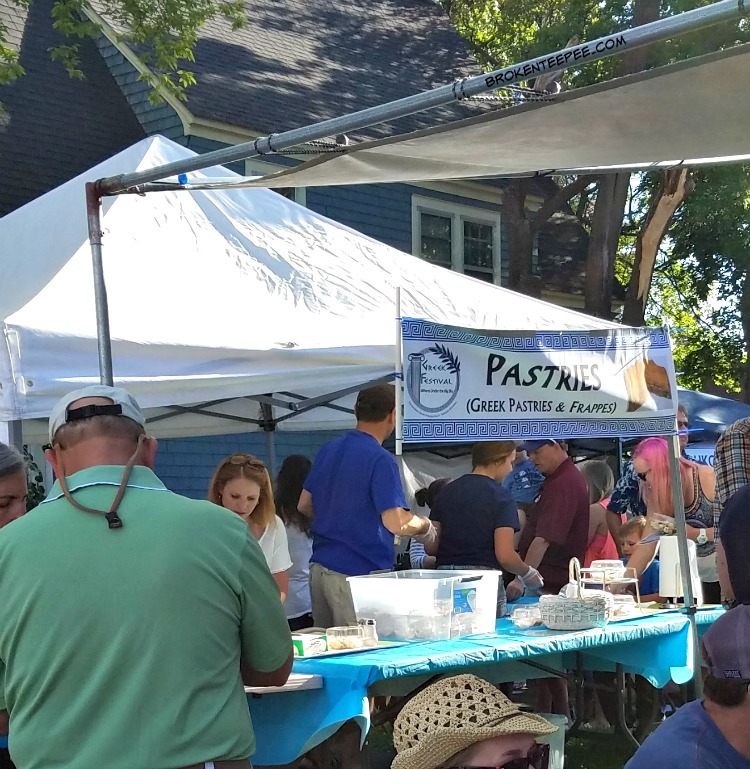 Now that the hubby is retired from being Fire Chief he can leave town for extended periods during fire season and that means we can start to explore and attend some of the fun summer festivals that are going on almost every weekend in Missoula and its environs. 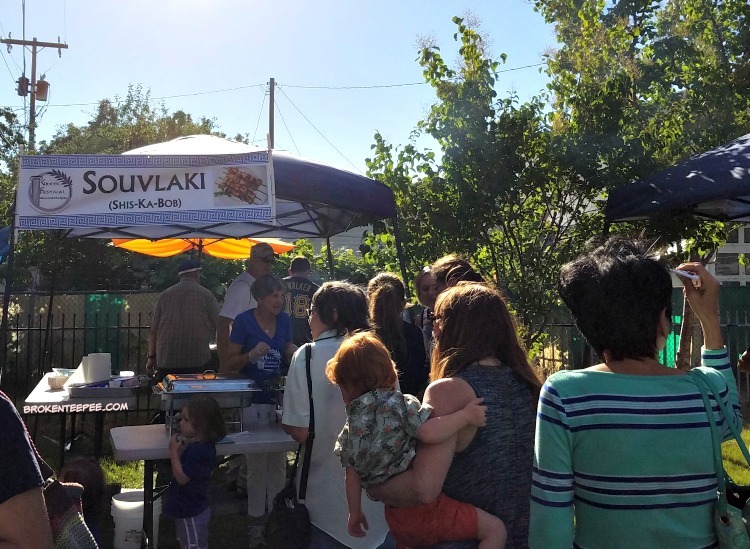 This past weekend was the annual Montana Greek Festival at the Annunciation Greek Orthodox Church. 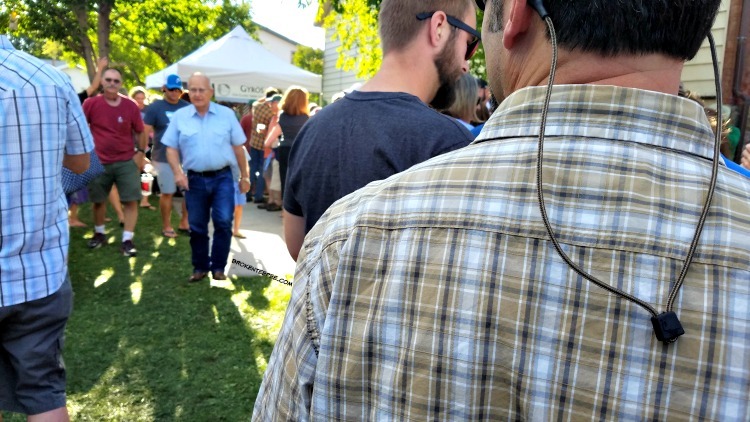 This was the third year of its return after being a staple in the Missoula festival schedule. Last year they had some issues with not having enough food to satisfy the crowd but this year there seemed to be plenty – at least judging by what we saw when we were there. 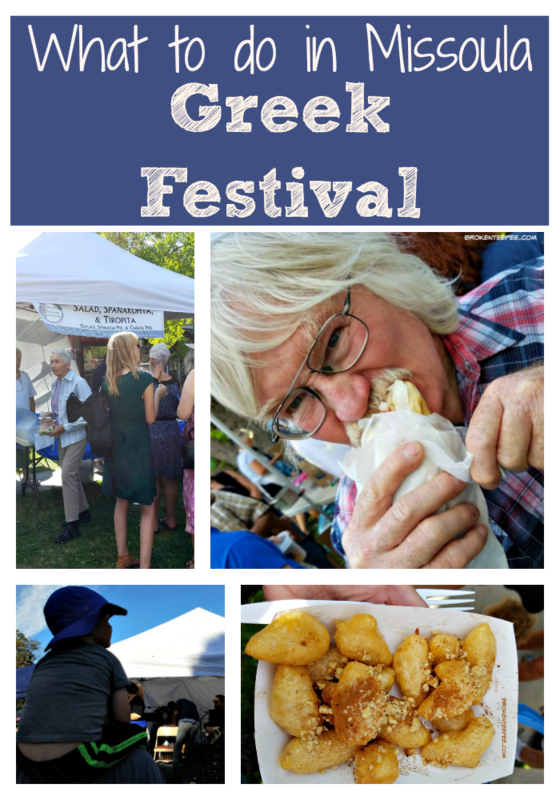 Gyros were the most popular, but not only food option at the festival. I’ll come back to them in a bit. 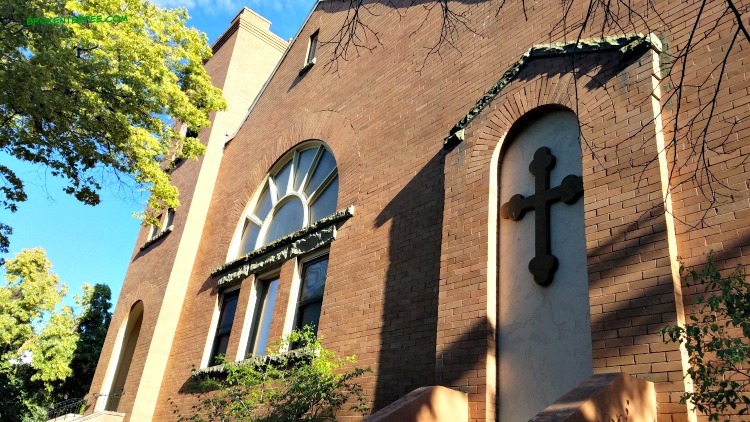 The Annunciation Greek Orthodox Church is a mission church in the Greek Orthodox Archdiocese’s Metropolis of Denver and was started in 1956. It’s one of the simpler Greek Orthodox churches I’ve seen; my grandmother was of this faith and her church in Philadelphia was ornate both inside and out. I didn’t get the opportunity to tour this church – there were guided tours on offering but we weren’t going to be there at the appropriate times. The area set up with the tables for eating and food booths was a bit small for the size of the crowd. As we were waiting in line there was much discussion of this and it was noted that next year they would be opening it up a bit which I think would be a really good idea. 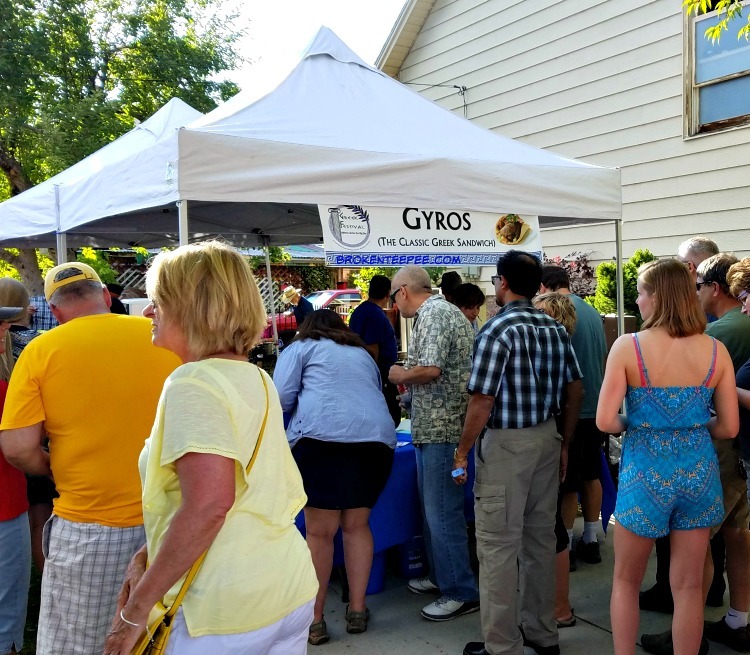 The line for the gyros was exceptionally long and somewhat without direction and it caused some issues. 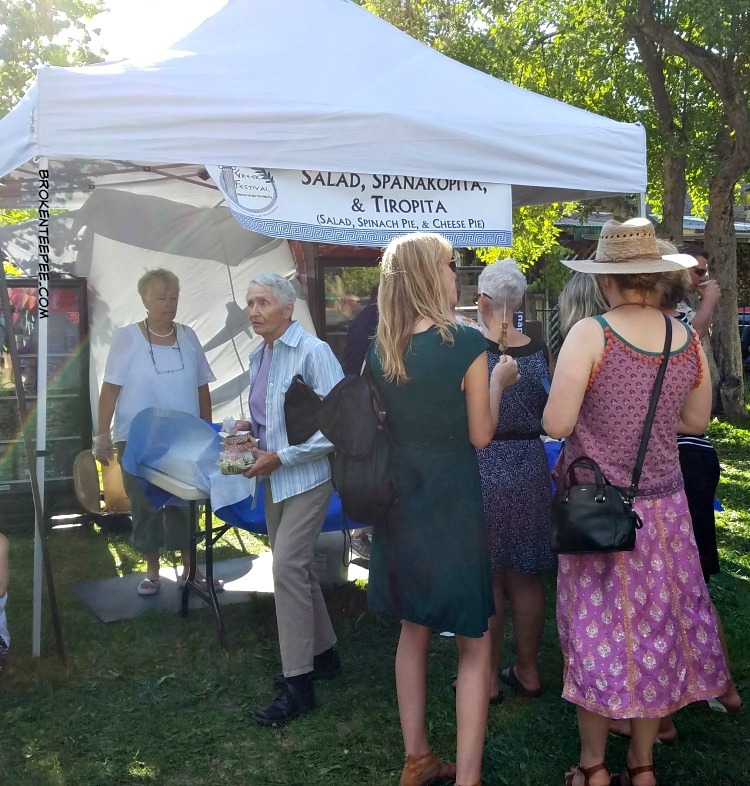 As we wandered around I noted that the line for souvlaki was nowhere near as long as the line for the gyros so I waited to try some classic Greek shish-ka-bob. The sign offered chicken or pork but when it was my turn they were out of pork. The chicken was very tasty; lots of flavor but in need of a bit of salt. The chicken on a stick was $5 (5 tickets) and there were 4 very large pieces of juicy grilled chicken on the skewer. It was very satisfying and perfectly cooked. I had thought that by wandering a bit the line for the gyros would have gotten a bit shorter. That was stupid of me. You can see the sign waaaaaaaay off in the distance there. So I left him in line and went to see what else there was to see. I did pick up a couple of bottles of water $2 ea (4 tickets) and I ventured to areas I hadn’t explored while he waited patiently in line. He is far better at lines than I. You could also buy spanikopita, tiropita and salad. I am not a big fan of spinach so I didn’t feel the need to linger. The hubby loves it but he was, as the song goes, holding out for a gyro. I especially wanted to explore the Greek Pastries as one of my aunts was Greek and she used to always have some delicious treats at family gatherings. There were several different kinds on offer including baklava, the layered filo pastry; melomakarona, an orange-flavored cookie that’s baked and then dipped in honey and sugar; kourabiethes, a powdered sugar cookie; koulourakia, a braided cookie, and finally, loukoumades, a round, puffed pastry that’s deep fried and topped with honey and sugar. I can attest to the tastiness of the loukoumades $3 (3 tickets). 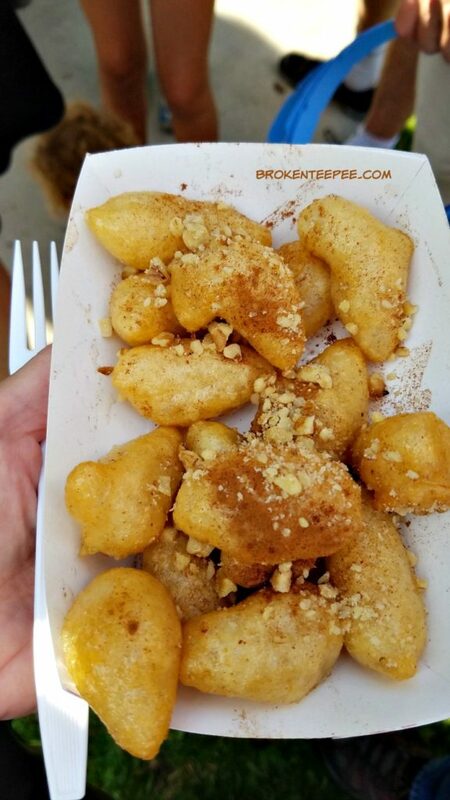 They were perfectly fried and then rolled in the honey and dusted with cinnamon and nuts. They were somewhat reminiscent of French toast. I ate many. I wanted more. But progress was being made on the gyro line! It was a good line; people were friendly and there was a band playing music the whole time we were there. The children were dancing and it was fun to watch them. In fact, there were dancing lessons for anyone who wanted to learn Greek dances! As you can see quite a few people took advantage of the opportunity to learn a few new steps. After I took these photos I went back to the gyro line and found a miracle…. 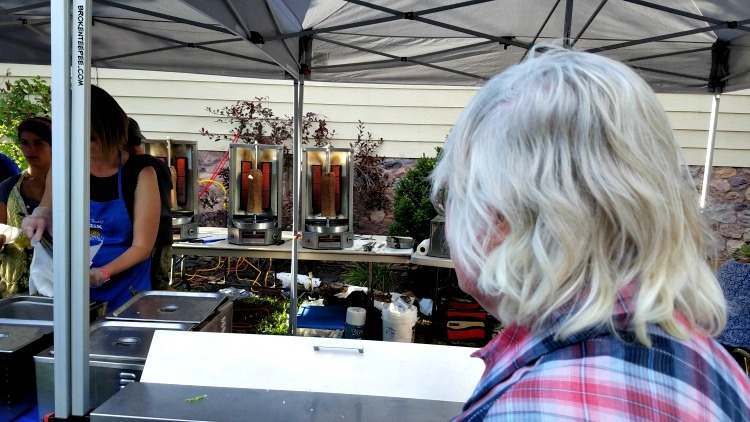 …he was waiting for his gyro! There were volunteers working like crazy to fill the orders and they were very friendly. 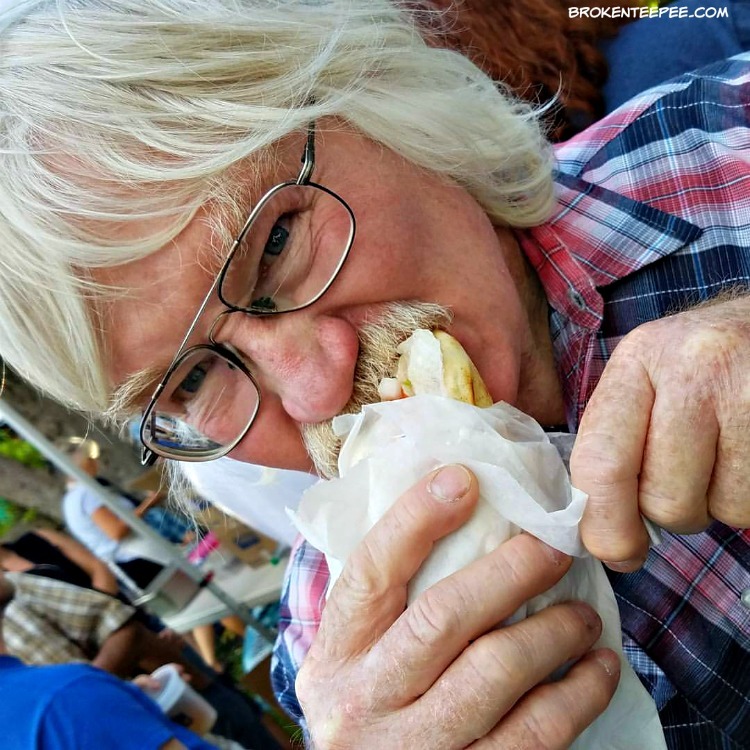 The gyro was $7 (7 tickets) and after just a little further wait on his part he could finally bite into his dinner. And it was good. I had a taste myself and it really was one of the best gyros I’ve had. The pita was amazing! From what I understand the tzatziki was homemade by the ladies of the church. The meat was perfectly seasoned. It really WAS worth the wait. I bought some homemade pitas to put in the freezer for when the cucumbers come in so I can make some tzatziki myself and we can have pseudo gyros at home. There is really no way to duplicate the real gyro meat at home – as far as I know – so I’ll just use some goat and spice it accordingly. 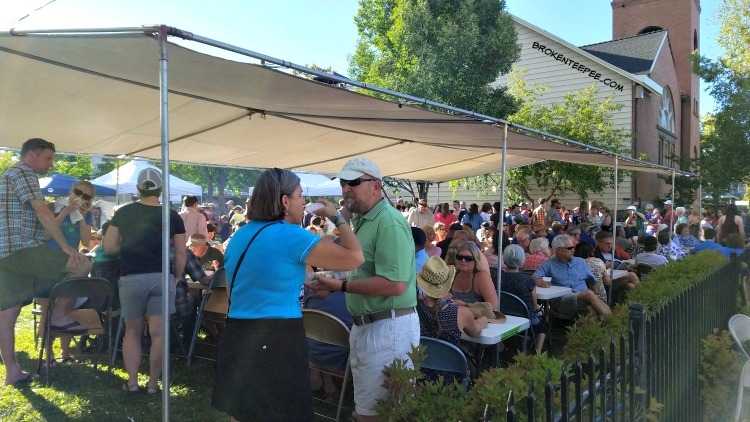 We really had a great time at the Montana Greek Festival and I’ll be sure to look for it next year when it rolls around. I think with their plans to change the layout and hopefully open up a second gyro stand it will be an even better event. It is certainly a fun festival to go to with kids as there was also a bouncy house for their enjoyment. 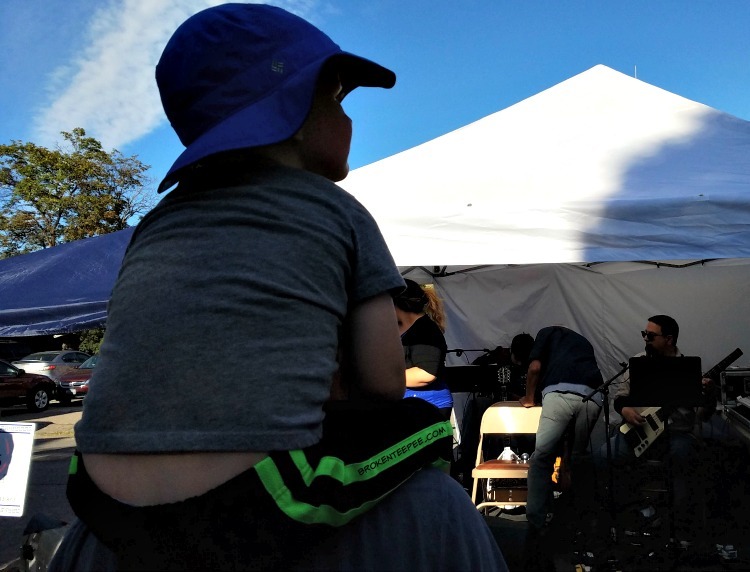 The little guy in this photo was enthralled by the band (Helios, out of California.) They were very good and provided great sound for the event. As we left the moon was rising over Mount Jumbo. 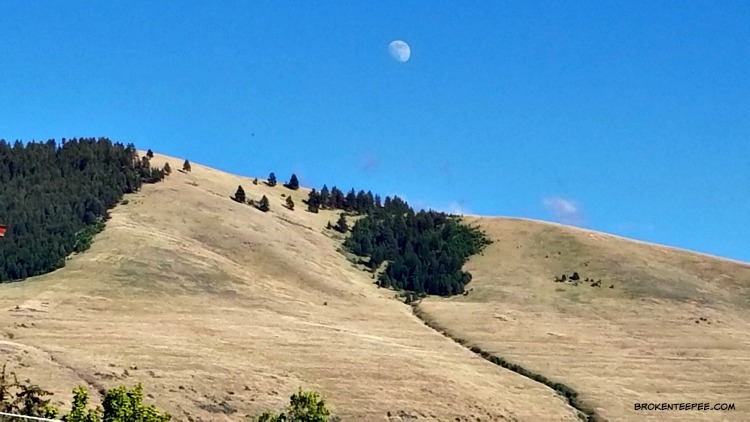 It was a delightful date night for the two of us and an event I can readily recommend for anyone coming to Missoula, MT, in mid-July. 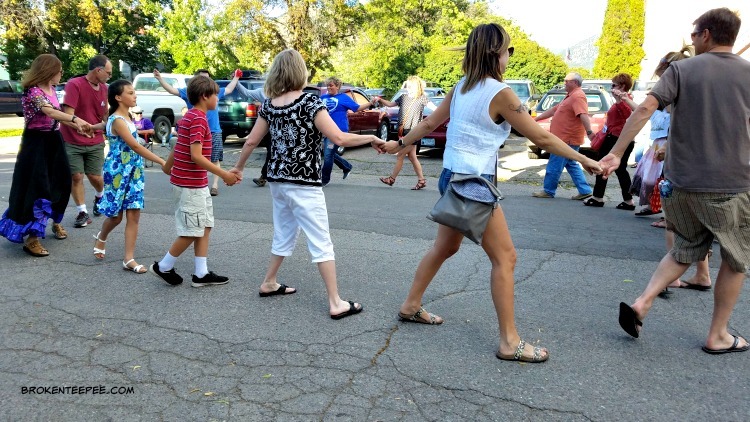 To keep up with the Montana Greek Festival follow their Facebook Page and then you’ll know the dates for next year.